June 13th-14th sees Professional Builder Live come to Harrogate’s Yorkshire Event Centre, and Roof Maker will be on hand to showcase their Slimline roof lanterns, which have been declared officially the slimmest in the UK! Leading British roof light manufacturer, Roof Maker, is celebrating after successfully being awarded a trademark for its range of Slimline roof lanterns. The trademark reinforces the fact that the roof lanterns are the slimmest available on the UK market. The innovative design of Roof Maker’s Slimline roof lantern combines sturdy, insulated construction with a clean, contemporary aesthetic. In addition to being the slimmest roof lanterns available, the glass unit seals are 80 per cent deeper than competitor’s products, significantly reducing the risk of condensation and increasing product life expectancy. This also enables Roof Maker to be the only manufacturer to offer a 20-year glass unit guarantee across all of its rooflights. To register for a free ticket to see Roof Maker and many more companies at Professional Builder Live, click here. “We are delighted to have been awarded a trademark for our Slimline roof lantern,” commented Vanessa Howard, Chief Marketing Officer at Roof Maker. “We were the first manufacturer to bring a Slimline roof lantern to the market and have been selling them in greater numbers than any of our competitors for a number of years now. “Whilst other brands may be using the term slimline, the successful trademark application proves that Roof Maker’s roof lanterns are officially the slimmest available in the UK and this is something we are very proud of as a business. It goes without saying that as a business Roof Maker will seek to protect this trademark at any opportunity. 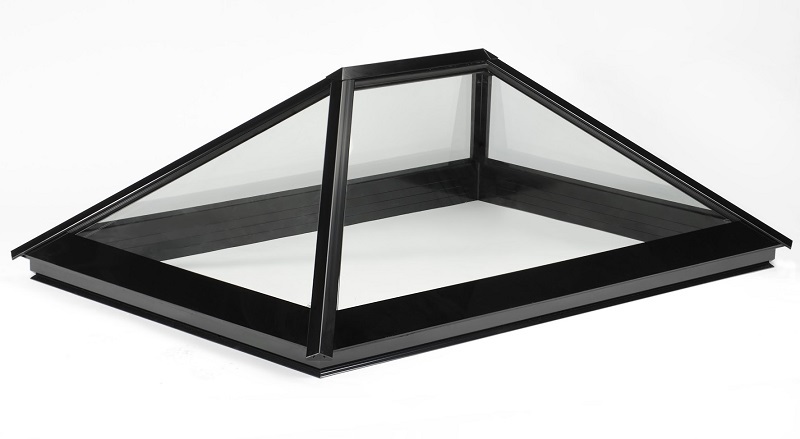 It is the innovative slim glazing bars and ultra thin aluminium-capped glazing joints that make Roof Maker’s Slimline roof lantern the slimmest available. Its 40-degree pitch also allows rainwater to flow off, eliminating the risk of unsightly dirt build up over time and the Reflex glazing will deliver a U-value as low as 0.7 w/m²k.